The 3rd day started with the packing up of our gear from the cozy room in Checked Inn. 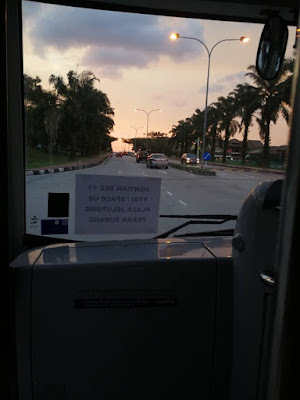 As we packed the 3D printer and Adruino kits into the car, we left to pick up some sustenance from the golden M. We dashed down the scenic highway, awing at the beautiful sites of Malaysia's untouched landscape. As we reached our next school in Sungai Petani, we were greeted by an enthusiastic Mr.Andrew who showed us the way to the classroom and even provided us with drinks/lunch. As the workshop started, the students tore into the boxes (figuratively) and started the modules with a sense of excitement. As the workshop was underway, I went off to get some footage of the school and was pleasantly met by classes of curious school children to see why there was a guy wandering around their school with a camera. They soon realized that I posed no threat and began to pose for the camera. The workshop ended with a bang thanks to a closing speech from Khayhen and the ever enthusiastic Mr.Andrew. Once the workshop closed up we dropped Khayhen off at Kuala Kedah Jetty as Hafiz and I proceeded to Penang for a weekend break.